In the mean time i tried downloading an app on my android phone to boost WiFi signal which helped a bit but it was not 100% successful and i wanted to do a permanent fix of this issue . I connected my old WiFi to a power socket in the room where current WiFi speed as measured by http://www.speedtest.net was 0.1 MBPS . 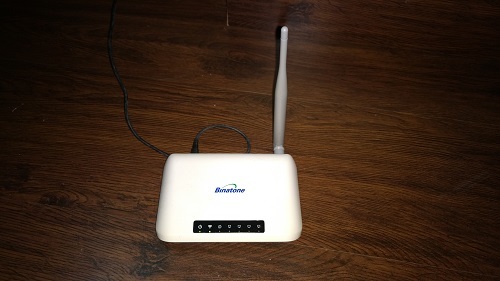 Connect to this WiFi router by selecting the SSID Name of this router . Default SSID Name can be found on the back of the router . In my case as this was my old WiFi router so my my laptop was showing signals of my old internet SSID , so i connected to it . Open the new router admin page which usually should open at 192.168.1.1 or 192.168.0.1 with a login user and password . You will find this IP , username and password at the opposite side of the router . In this section click on use as repeater and add the SSID of the current WiFi (i.e. the one with real internet) and also add their username and password . Click on done and then your WiFi router will restart . Once done after around 1 minute i could see a new WiFi Signal in my laptop WiFi signal and the name of the new signal was OldSSID-ext . I connected to it and then i was able to browse the internet . Good enough to do browsing and far far better than using an android app to boost WiFi or purchasing a new repeater . Now whenever i want to work in this room i just turn this repeater on and i am able to use internet with better speed . If i want to go to terrace and work there , i take my old router along , connect it to power and i get great better signals and internet there . amplifier, old wifi router, repeater. Bookmark.